As part of our Biodiversity and Habitat Management Programme, Wildlife Management Services can design and install bug hotels. 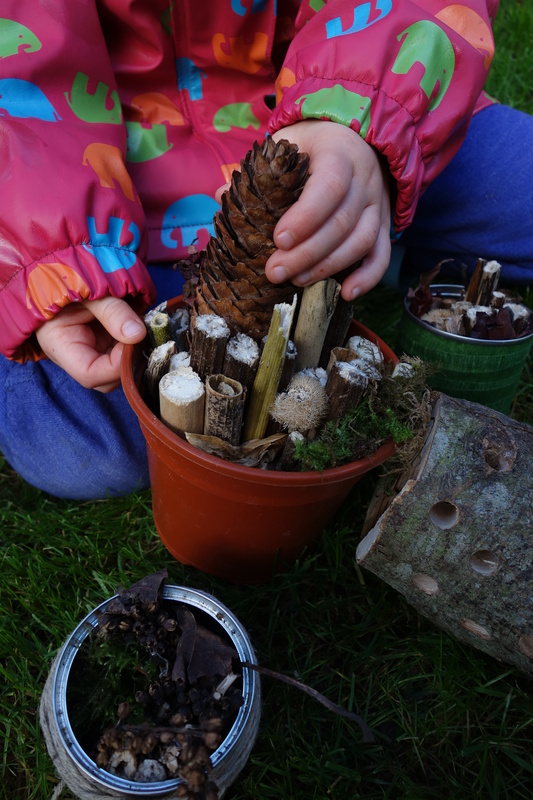 We recently launched one such Bug Hotel in the Croke Park Stadium. 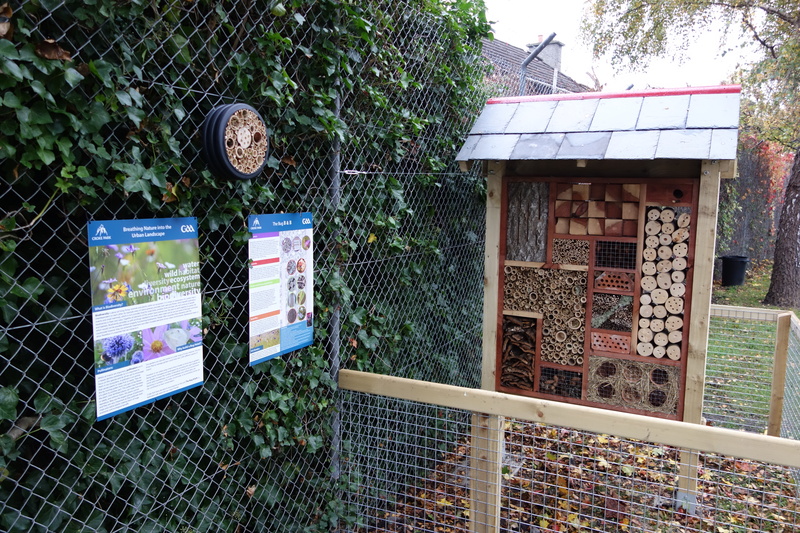 In urban areas bug hotels are particularly important as they can house many important insects such as pollinators which can find it difficult to find places to nest and hibernate in our overly managed urban gardens. Whilst this bug hotel is a large scale construction it has some central features which can easily be replicated on a smaller scale in your own home or school garden. This poster outlines some of the features of the bug hotel in Croke Park. Fill these containers with dry materials such as pine cones, leaves, hollow stems, bamboo, rolled up cardboard. Make sure that your container has nooks and crannies for insects to climb into to either nest or hibernate. With the assistance of an adult, drill some holes into a small log and hang it somewhere in your garden-this will be enough for solitary bees to use as nesting cavities. Sow a pollinator friendly area in your garden-using a native wildlfower mix you will bring colour and nectar rich flowers into your garden which will attract both bees and butterflies. Resist tidying away the hollow plant stems in your garden in the autumn and instead wait until the following year. Allow an area of your garden to be un-manicured, leave some logs and long grass etc. this will house more insects than you know. This summer a range of our work in the Irish National Stud will be featured on their blog, keep an eye out to read about the projects that we are involved in. Please report any sightings and possible readings of ringed gulls to medgullring@gmail.com to contribute to the Dublin Urban Gull Ringing project. We're delighted to be taking part in Croke Park's Wildlife Tour for Heritage Week. A great chance to raise awareness of urban wildlife. Watch footage of our hawk Kayla in flight in Croke Park. She is working hard to keep unwanted birds off the pitch prior the All-Ireland. Wildlife Management Service's specialist falconry service has been drafted in to solve the high levels of feral pigeons present in the Croke Park Stadium. Our Hawk 'Gus' is enjoying the publicity for doing what he does best, dispersing birds away from areas in a humane manner. What better place than Ireland's largest Stadium for 'Gus' to spread his wings! Contact us now with your wildlife problem and we will be happy to advise you on how to best deal with your particular problem.